At Tower Chiropractic, we use nutrition to help the patients’ body heal faster by helping the muscle and organs absorb appropriate nutrients. Upon request, we can monitor your diet and modify what you eat. Doctors of Chiropractic undergo over 100 contact hours to receive training in nutrition. Dr. Oh also received a certificate in Advanced Whole Foods Nutrition from New York Chiropractic College. 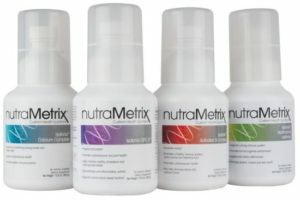 We highly recommend whole food supplements in our office for our patients because they are the most natural. We have seen patients get better faster with supplement usage. Many of us eat foods of poor quality as our soils have been filled with pesticides that deplete the minerals we are supposed to consume. We also eat a lot of processed foods and fast foods. Because of our poor eating habits, we do not have the proper nutrients and minerals in our body. Whole food supplements can help with these common dietary problems. Interested in buying Doctor’s recommended supplements? These are just some of the vitamins we carry. We carry many more. Pycnogenol, a super-antioxidant that is one of the most clinicallyresearched ingredients in the nutritional supplements industry. There are an abundance of fish oil products on the market but only Heart Health Essential Omega III Fish Oil with Vitamin E uses the best fish to provide a clean and safe product rich in eicosapentaenoic acid (EPA) and docosahexaenoic acid (DHA). 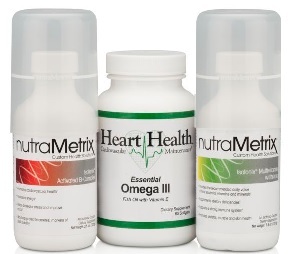 Heart Health Essential Omega III Fish Oil with Vitamin E provides the three grams of omega- 3 that studies reveal is the most effective amount to promote overall cardiovascular health. Helps maintain normal cholesterol and triglyceride levels, promotes healthy blood pressure levels, helps maintain healthy levels of C-reactive protein, helps maintain normal blood flow and helps enhance mood. Includes NutriClean 7 Day Cleansing System, TLS CORE; Isotonix OPC-3, Isotonix Multivitamin, 2 TLS Nutrition Shakes, Tracking Sheet, Shaker Bottle and Button. All of this can help promote weight loss, reduction in fat stores in the body, helps maintain normal blood sugar levels, Helps to cleanse and detoxify the liver, Helps maintain digestive health. All in 21 days!